Are you experiencing Dish Network outage today? Here you can get news, reports and overview of on going problems. Dish Network is an American direct-broadcast satellite service provider, Dish Network provides satellite TV, phone and internet services. Users can choose from a list of available channels and also they can record video programs with an additional feature to remove commercials from them using ‘Hopper’ feature. Are you today having any problems with Dish Network, you can see in the graph what is happening with others and if you are alone in the queue or all others are along with you. Commonly reported problems includes issues with login, receiver connectivity problems, on demand not working, unable to add a new TV channel and some others. If currently you are unable to access Dish Network internet OR TV, then you should submit a report here on this portal about the service status and with a short sentence about the error type which you are considering. 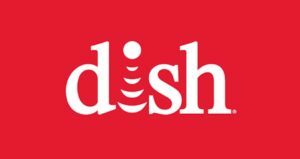 You can find more information about any official support pages of Dish Network which includes Twitter and Facebook pages.